You may have noticed my blog posts have been a bit skimpy. 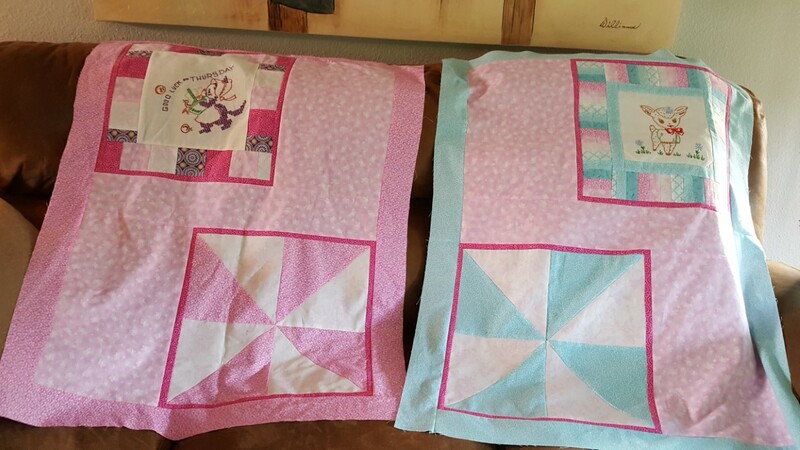 That is because work has been crazy plus I am building two baby quilts for a pair of little girls born this month. This weekend I did get out to a few estate sales. The feature photo is from a tree at a house I stood in line at. It so demonstrates that fall is here in the Pacific Northwest. A maple tree was vivid pinky red showing herself off. Add some lovely raindrops and you have a fall picture to die for. Today I powered on to get the two quilt tops finished. Here they are ready to sandwich up the batting and a back. Each of the quilts have a theme panel that is made from vintage embroidery I have picked up. The pinker quilt is using a dish towel that is a cross stitched kitty carrying a basket of food. It says Good Luck Thursday because this was the Thursday towel. A little flash back to another time when we had time to make these cute towels. 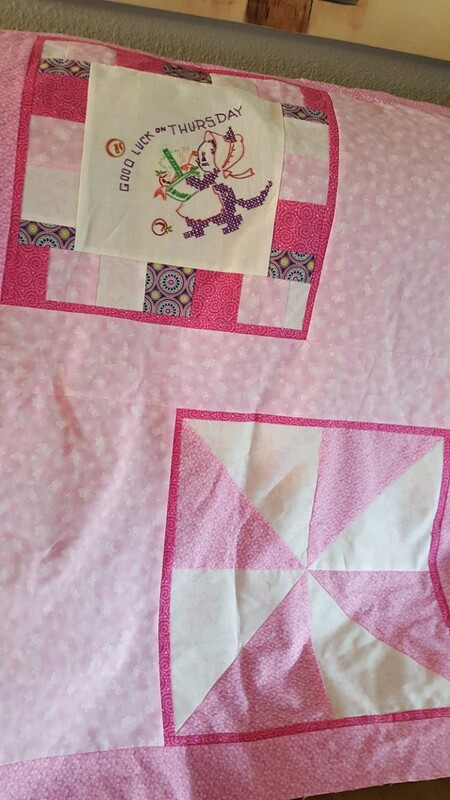 Each of the quilts are balanced out by contrasting windmill squares. 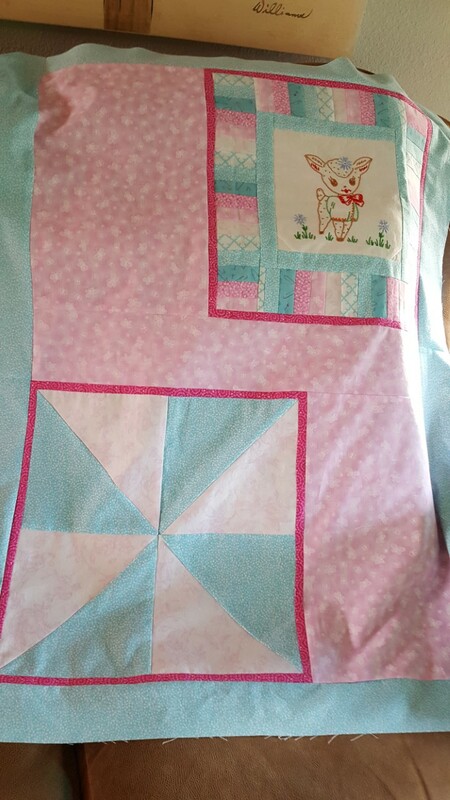 The second bluer quilt uses a baby bib I picked up many years ago. She is so cute I knew she would be a great baby gift. Instead I cut her down and made her a feature panel on a quilt. There you go.. busy time but feeling very productive and creative.